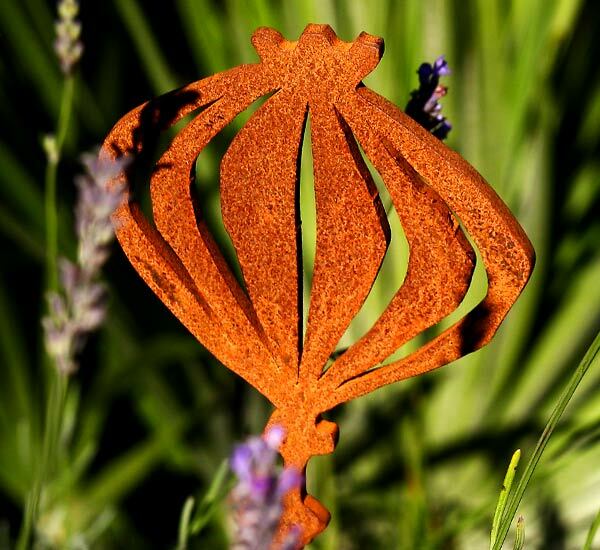 Add interest to your garden, patio pots and conservatory planters with our rusted metal sculpture, an interpretation of the Poppy’s seedhead. 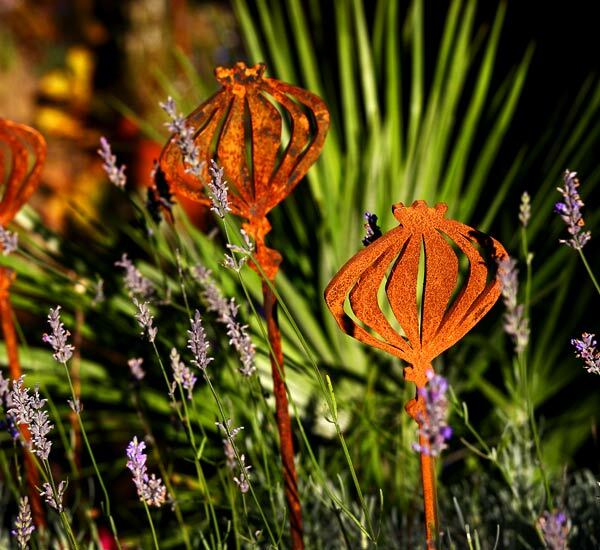 At their best when displayed as part of a planting scheme, our Poppy sculptures make great plant supports, they are sure to be a real feature in the garden. 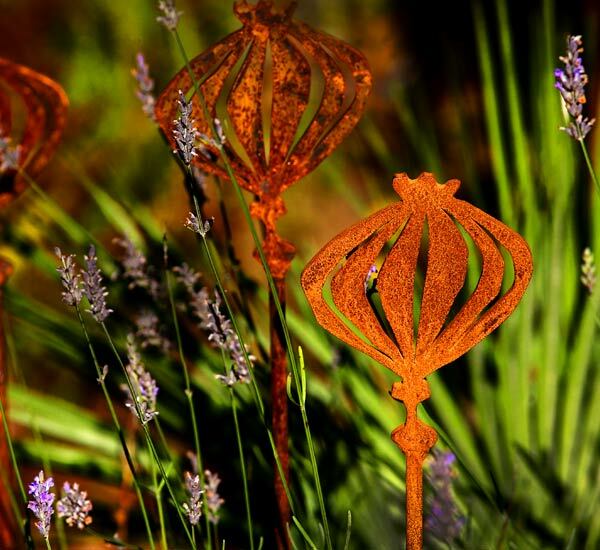 Crafted from steel, sculptures are allowed to rust naturally. 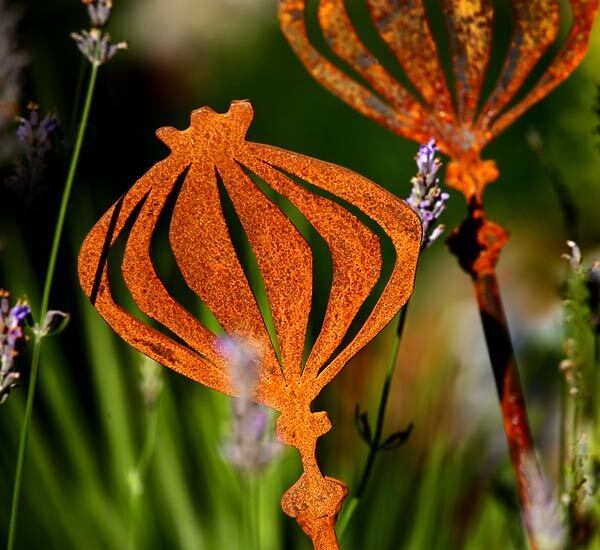 We love the warm, rich, hues that form during the rusting process and seeing them evolve with time. 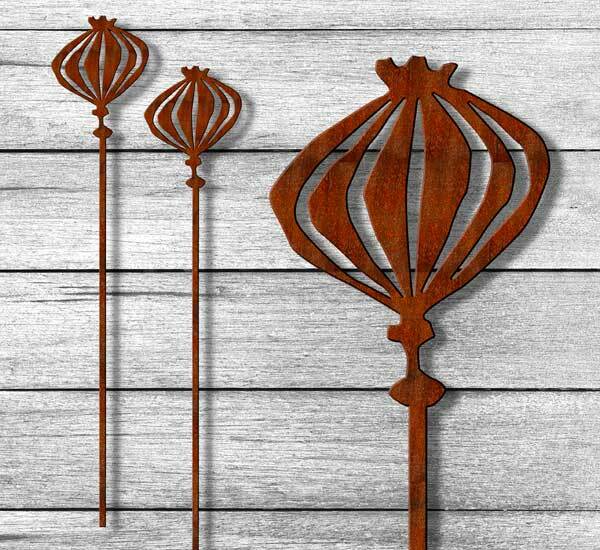 Our seed heads look great in groups and we offer a reduction on individual prices, please do contact us for pricing. Delivery – All of our sculptures are delivered to you via a courier service. We aim to deliver your sculpture within 5 days from the receipt of your order. If you need your sculpture sooner please contact us and we will do our best to get it to you for the required date. The delivery cost for mainland UK is £4.50 per order. For the Highlands and Islands please contact us. Installation is easy– Simply push the sculptures stalk into the ground. If the ground is hard try making a pilot hole first with a garden cane or if the going is really tough we have even used a cordless drill with a 8mm drill bit.